Laura Mercier, the pioneer of the “Flawless Face”, is a world-renowned makeup artist and creator of Laura Mercier Cosmetics, Skincare, Body & Bath and Fragrance. Laura is the innovative force behind the brand’s iconic products, French aesthetic, artistry techniques and "House of Flawless". Laura was raised in Provence, France, and at age 17 enrolled in painting school in Paris. With some coaxing from her mother, she decided to shift her talents to a new canvas, leaving her easel for the face. From there she attended the prestigious Carita Beauty Institute, specializing in makeup application. A diligent student with an innate eye for makeup artistry, Laura excelled in her classes and subsequently represented Carita as a makeup artist and makeup teacher, working closely with renowned makeup artist Thibault Vabre. In the mid-1980s Laura moved to the United States and began a revolutionary career in the magazine industry, working on the launch of American Elle and editorial spreads for Allure, Vanity Fair, Glamour, W, and InStyle, among many others. For 10 years was the choice makeup artist for Vogue covers and editorials, crafting stunning looks designed to capture the natural beauty of each individual model. Her work as a renowned celebrity makeup artist did not stop there, and she also crafted iconic looks for clients like Mariah Carey, Celine Dion, and Sarah Jessica Parker. 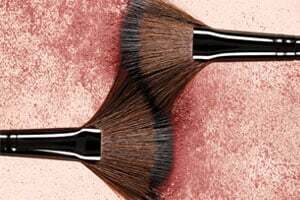 As a professional makeup artist, Laura began to observe that several products — particularly in the face category — were missing from the traditional cosmetics marketplace. As an innovator, Laura changed the makeup industry forever with her introduction of the first foundation primer to create the perfect canvas for makeup application. Those who work closely with Laura know that she is deeply passionate about the idea of a “no makeup,” healthy, radiant glow — or bonne mine in French. Inspired by her work with celebrities, Laura continues to create products for the client who wants to keep her glow year round, or enhance the gorgeous gleam she already has. Laura Mercier products are lauded throughout the industry and have won numerous awards, including: Tinted Moisturizer, frequently named in Best of Beauty Awards. Tinted Moisturizer – Oil Free, InStyle 2015 and 2016 Best Beauty Buy. Silk Crème Moisturizing Photo Edition Foundation, May 2016 CEW Beauty Insider Award. Caviar Stick Eye Colour in Tuxedo, Allure 2016 Best Of Beauty Award. Translucent Loose Setting Powder, Glamour’s Best Designer Makeup Products of 2016 and InStyle 2015 Best Beauty Buys. Secret Camouflage Brush, Allure Best Of Beauty 2016, Tools. Additionally, she has received numerous awards for her involvement in campaigns for Calvin Klein, Donna Karan, Dolce & Gabbana, Versace, Valentino and Alberta Ferretti. Her clients include, Madonna, Julia Roberts, Juliette Binoche, Susan Sarandon, Isabella Rossellini, Brooke Shield, Ellen Barkin, Meg Ryan, Ashley Judd, Meryl Streep and Julia Ormond. Laura divides her time between New York City, Paris and Provence, where she still enjoys and finds inspiration in painting.